If you spent Halloween with your head buried in Pokemon Go again because of all that sweet bonus candy, you absolutely weren't alone. 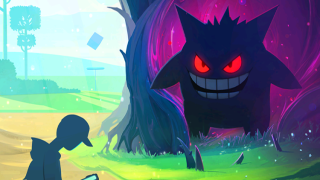 The influx of Ghost type 'mon meant that more than 1.3 billion of the nine creepy Pokemon were caught during the promotion in only five days. That's a hell of a lot of Pokeballs per day. According to Niantic, Gastly was the most popular 'mon followed by Cubone and Drowzee.